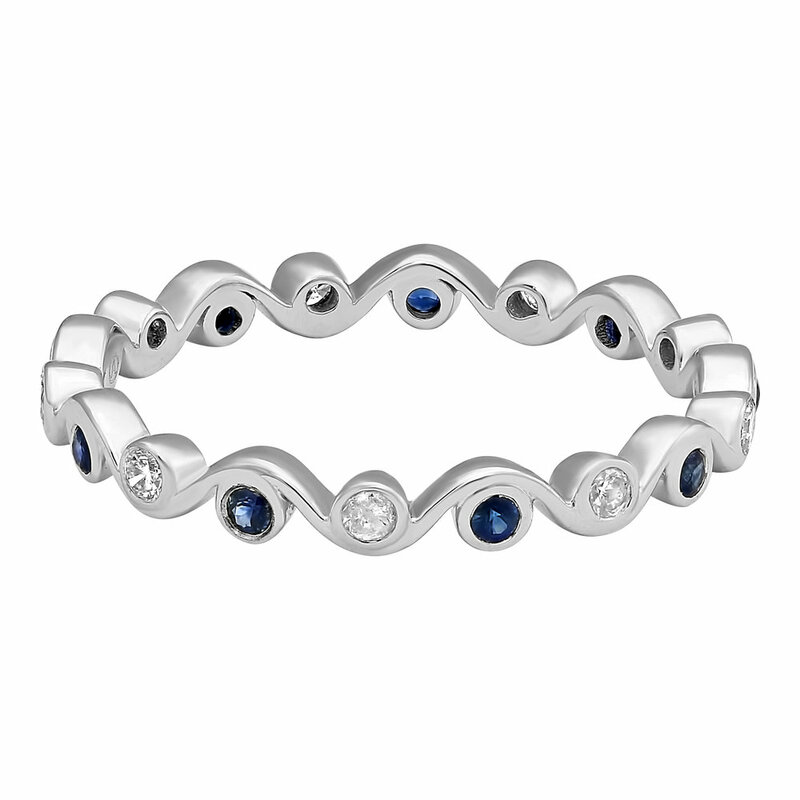 Art Deco style semi-eternity band crafted of 14K high polished white gold and featuring 5 blue sapphires weighing 1/4 CTW accented with 0.07 CTW. Classic semi-eternity band ring crafted of 14K high polished white gold. Featuring 5 blue sapphires weighing 0.06 CTW and 0.07 CTW diamonds. 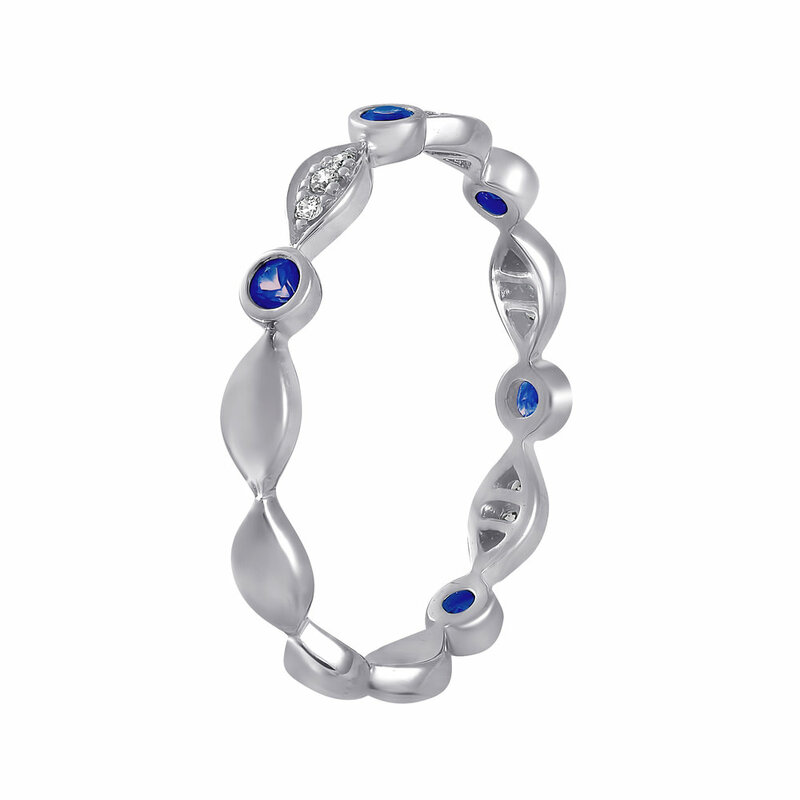 Modern eternity band crafted in high polished 14K white gold. 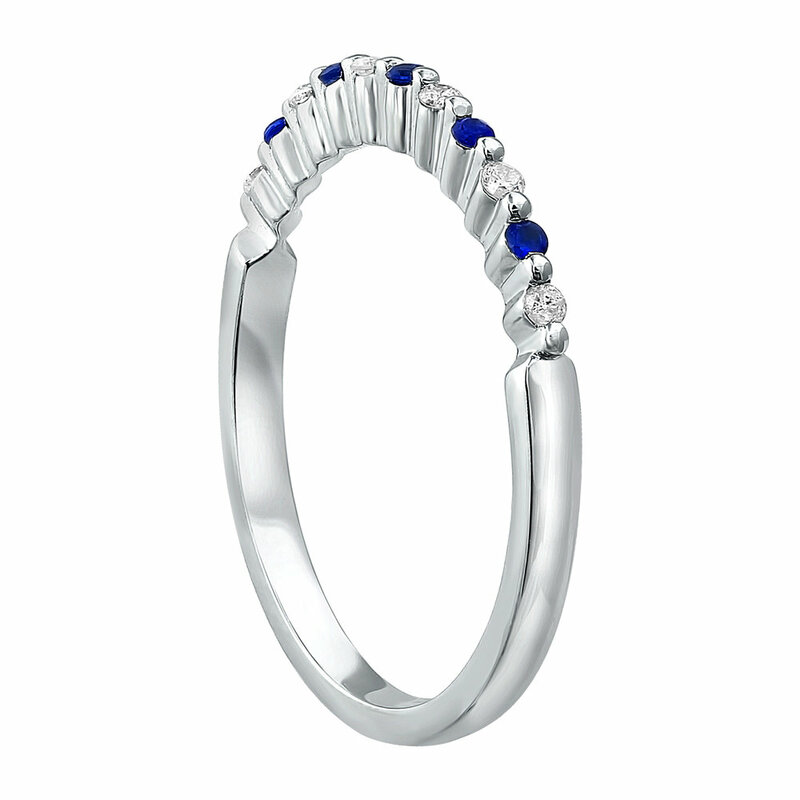 Featuring 9 blue sapphires weighing 0.19 CTW and 0.16 CTW diamonds. Vintage inspired semi-eternity band ring crafted of 14K high polished white gold with milgrain finish. 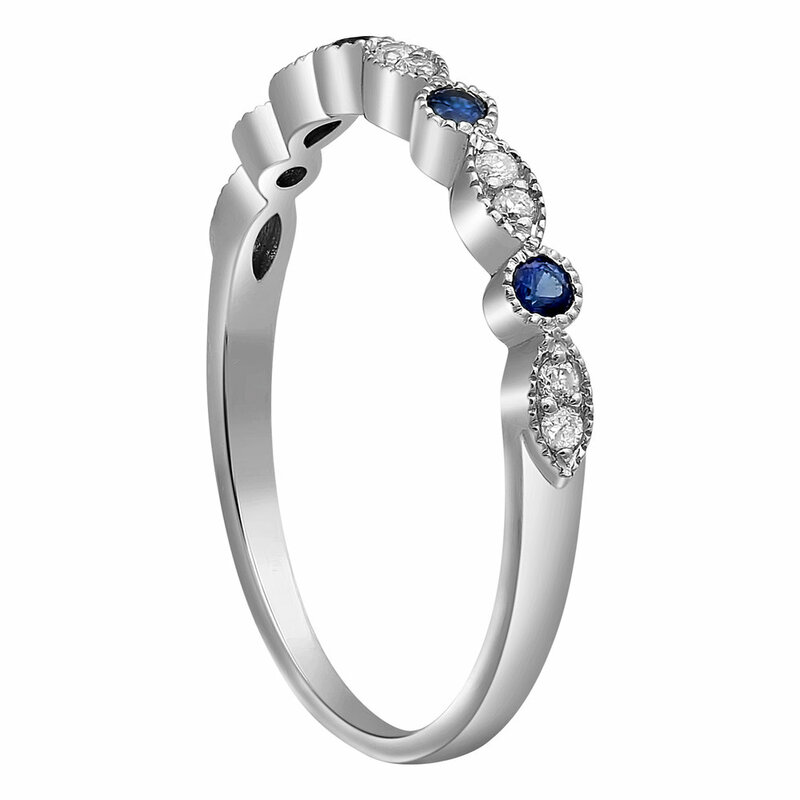 Featuring 4 blue sapphires weighing 0.13 CTW and 0.08 CTW diamonds. Vintage inspired semi-eternity band made of 14K milgrain white gold. Featuring 7 blue sapphires weighing 0.14 CTW and 0.13 CTW diamonds. 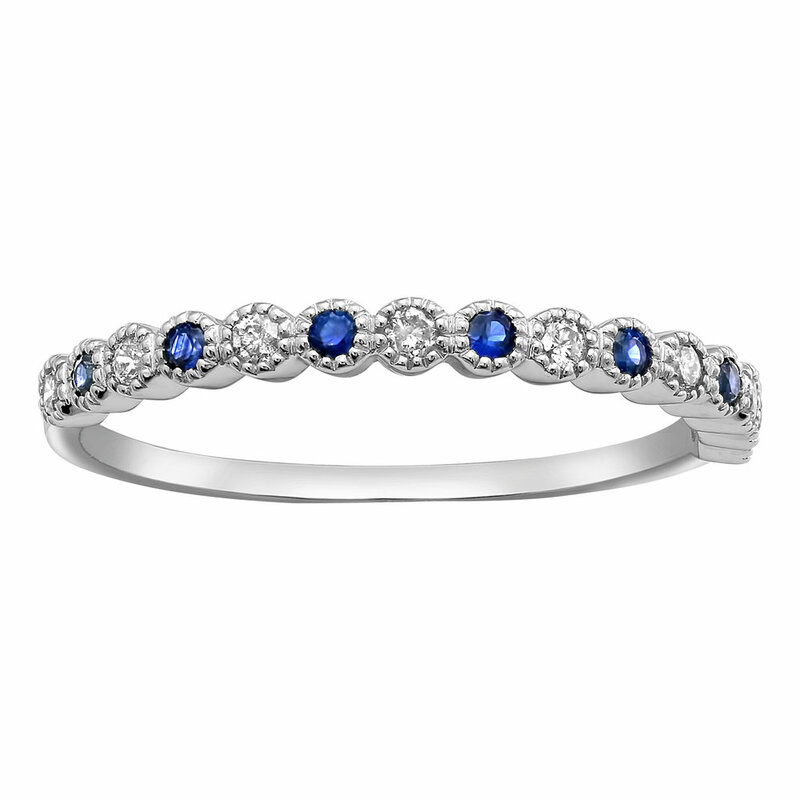 Retro inspired semi-eternity band crafted of 14K milgrain white gold. Featuring 8 blue sapphires weighing 0.13 CTW and 0.13 CTW diamonds. 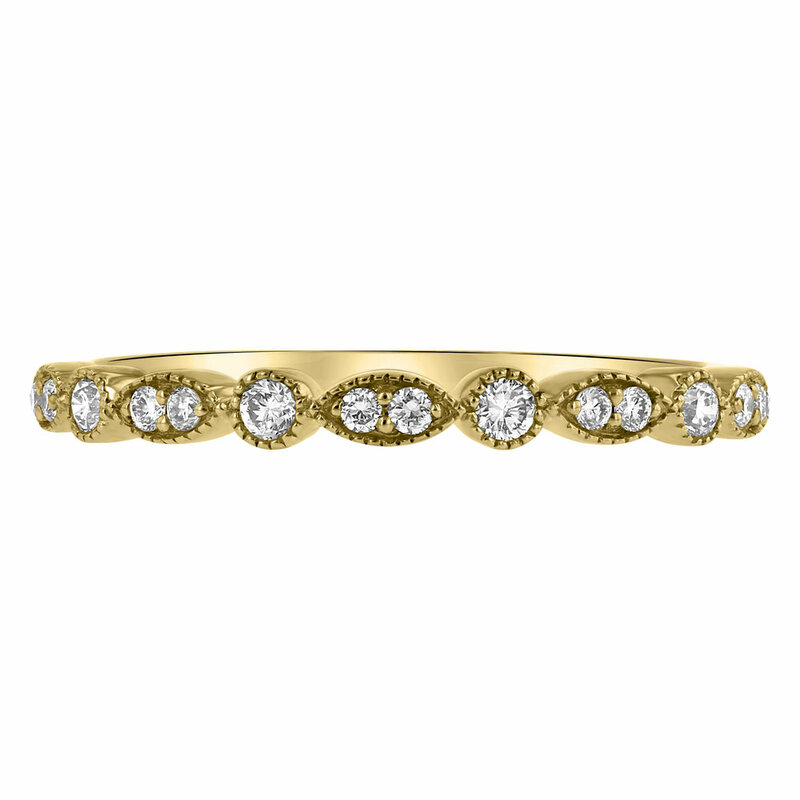 Vintage-inspired, semi-eternity band made of 14k yellow gold. Featuring 3 blue sapphires weighing 0.05 CTW, and approximately 0.147 CTW diamonds, each stone is surround by milgrain edges. Vintage-inspired, semi-eternity band made of 14k yellow gold. Featuring alternating round and marquis shape milgrain edges, this ring has approximately 0.18 CTW diamonds..